For those who have hobbies that involve a faraway view, investing in best image stabilizing binoculars can upgrade your experience from average to amazing. If you are unfamiliar with image stabilizing binoculars, they are specially built binoculars made to minimize the hand shaking of regular binoculars. This makes it easier to see moving objects, like boats or planes, or objects that are far away, like birds or deer. How to Find the Best Pair ? If you are unfamiliar with image stabilizing binoculars, they are specially built binoculars made to minimize the hand shaking of regular binoculars. This makes it easier to see moving objects, like boats or planes, or objects that are far away, like birds or deer. If you don’t think image stabilizing binoculars are necessary, think of it this way. High power binoculars may make distant images visible, but with such high power, even the smallest of movements shake and shift the image. Everyone’s hands shake to some degree. Even if you are the steadiest person in the world, small movements from your body, like breathing or muscle twitches, can affect the image you’re seeing. 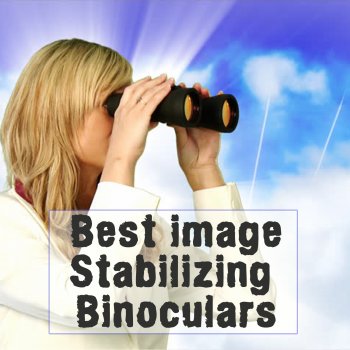 ​With image stabilizing binoculars, there are a few different mechanics that adjust the image when it shakes. There is either an electronic or traditional component that senses the need for stabilization. A fluid filled prism, group of lenses, or a gyroscope will then shift to compensate for the tilting and panning of the binoculars, and the image is stabilized. 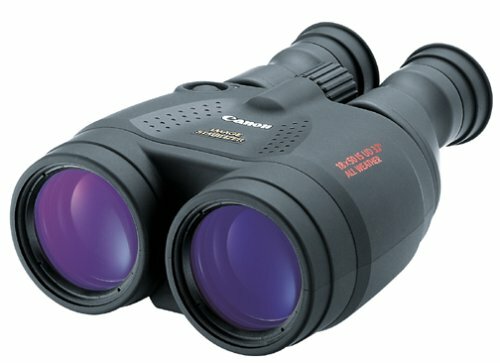 ​There are many reputable brands that manufacture these binoculars, like Nikon, Canon, Fujinon, Bushnell, and Carl Zeiss. All these brands make good products, but it can be difficult to know if one is superior to another, especially when there are so many products to choose between. Most well-made image stabilizing binoculars will work in most scenarios, but there are some that work better for certain activities. Here is a breakdown of our favorite image stabilizing binoculars for boating, bird watching, hunting, and stargazing. Having a pair of binoculars is essential when going boating. Not only are they good for taking in the beauty of marine life, seaside landscapes, and gorgeous sunsets, but they can also help you detect dangerous obstacles in your path. Binoculars can help you dodge objects like other ships or debris, or even keep you from unexpectedly running aground. Having a good pair of image stabilizing binoculars can be the difference between a great day at sea and a total shipwreck. 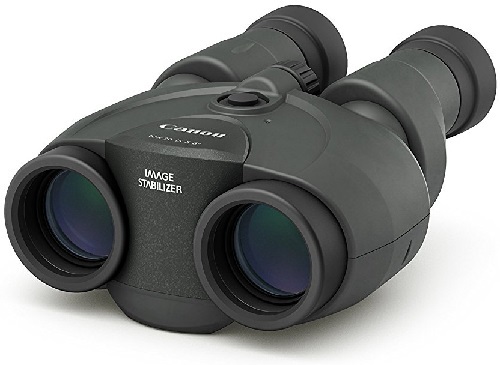 We recommend the Canon 10x42 L Image Stabilization Waterproof Binoculars for any boater looking to enhance their binocular game. First and foremost, their most important feature is that they are waterproof. When you’re dealing with marine environments, this is essential. Other binoculars may not be able to take a splash like these can. They are also great at diffusing the shake from motor vibrations and wind, so even if your boat is on the go, the image will be crystal clear. Another great feature on these Canon binoculars is that they have a large lens diameter at 42 millimeters. This makes for a clear, bright view, even in low-light conditions. This feature can come in handy if you boat at night or in overcast weather. These binoculars are also very light at 2.45 pounds, so they won’t weigh you down if you’re taking a long look through them. Any bird watcher who hasn’t had the experience of using image stabilizing binoculars on a bird watching trip is definitely missing out. If you fall into this category, just try these binoculars once, and you’ll immediately see the difference. Bird watching at its very core requires you to be still; why would you depend on shaky binoculars to see some of the world’s sneakiest creatures? For bird watchers who are ready to change their world, we recommend the Canon 18x50 Image Stabilization All-Weather Binoculars. Whether these are your first pair of image stabilizing binoculars or you’re a seasoned pro, they’re very simple to use and pack a powerful punch. That makes them perfect for bird watching, when the viewer is stationed on the ground and the subject is high in the trees. This model also comes equipped with Super Spectra coated lenses. This keeps the image bright and clear by reducing the amount of light that is reflected away from the lenses, so you see the full action every time. 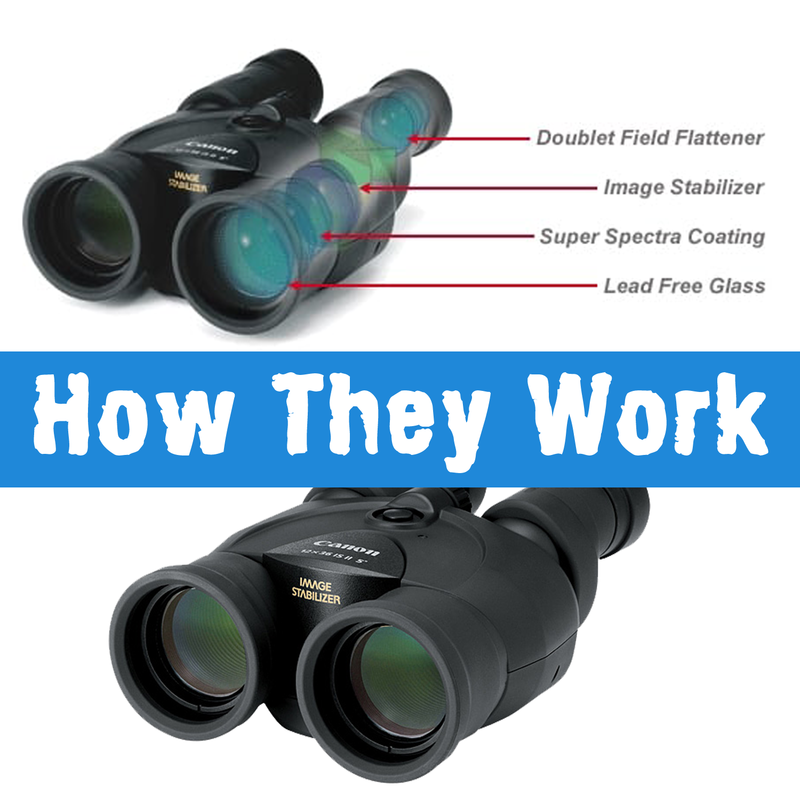 These binoculars are also equipped with a water-resistant rubber coating. Even if you get caught in the rain or are prone to slippery hands, your equipment will stay safe. Another great feature on these Canon binoculars is that they have a large lens diameter at 42 millimeters. This makes for a clear, bright view, even in low-light conditions. This feature can come in handy if you boat at night or in overcast weather. These binoculars are also very light at 2.45 pounds, so they won’t weigh you down if you’re taking a long look through them. Binoculars are a very useful accessory when it comes to hunting. They not only assist you in tracking animals from a safe distance, but they can also help you spot hazards and other hunters in the environment. 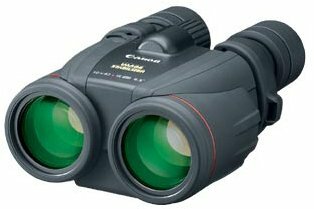 In order to be valuable, a good pair of hunting binoculars should have strong magnification, great image stabilization, and weatherproofing. These features on a reliable model will keep you safe and help you score the catch of the day. The model we recommend has all those features and more. 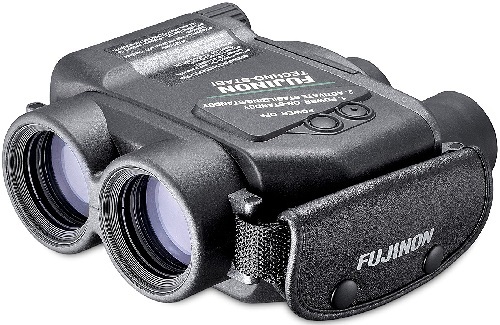 Try the Fujinon Techno Stabi TS1440 14x40 Image Stabilization Binocular on your next hunting trip; you won’t regret it. This model is compact, and while it weighs a little more than other models, the extra weight is worth it. What’s truly impressive about these binoculars is the five degrees of high image stabilization. What this means is that basically any shaking or blurring will be eliminated, leaving you with the perfect pair of binoculars to track an animal or other moving object. These binoculars are also fog-proof and waterproof, making them good to use in any type of weather. They also have a rubberized coating around the outside, so you never lose your grip. ​Whether you’re a professional astronomer or a hopeless romantic looking for a good date idea, many people love to stargaze. While it can be fun to lie on a blanket and look at the stars with a naked eye, image stabilizing binoculars are essential for anyone who wants an up-close look at the planets and stars. Ideally, these binoculars will be lightweight with a long-lasting battery life, so you can stargaze for a long period of time. For that, we recommend the Canon 10x30 Image Stabilization II Binoculars. These binoculars are perfect for stargazing because of how compact they are. Weighing in at only 1.32 pounds, even young children would be able to hold these for long periods of time with ease. This Canon model also boasts a 9-hour battery life when in optimal conditions, which is perfect for long nights under the sky. Additional features include long eye relief, which means users can stay comfortable while using the binoculars, even with glasses. Doublet field-flatteners give a sharp, virtually distortion-free picture throughout the entire viewfinder as well. Additional features include long eye relief, which means users can stay comfortable while using the binoculars, even with glasses. Doublet field-flatteners give a sharp, virtually distortion-free picture throughout the entire viewfinder as well. 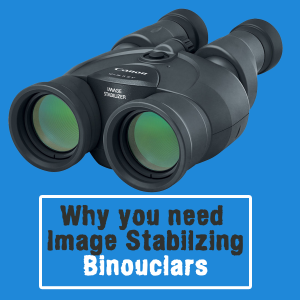 ​At the end of the day, there are many great choices when it comes to buying image stabilizing binoculars. When you stick to a reputable brand, there is always going to be a model that will fit your specific needs. The most important thing to remember, overall, is that deciding to purchase image stabilizing binoculars over regular, high-powered binoculars is the best choice. 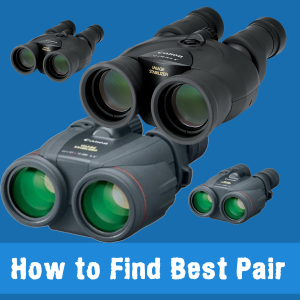 You can read more about top binoculars reviews by visiting our homepage.